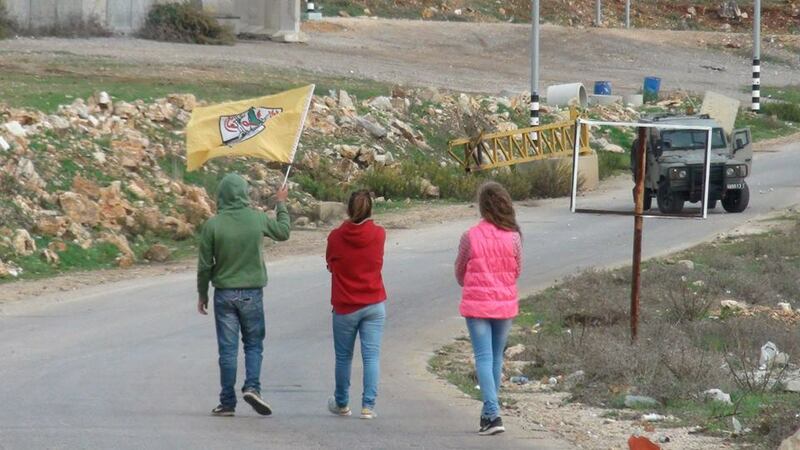 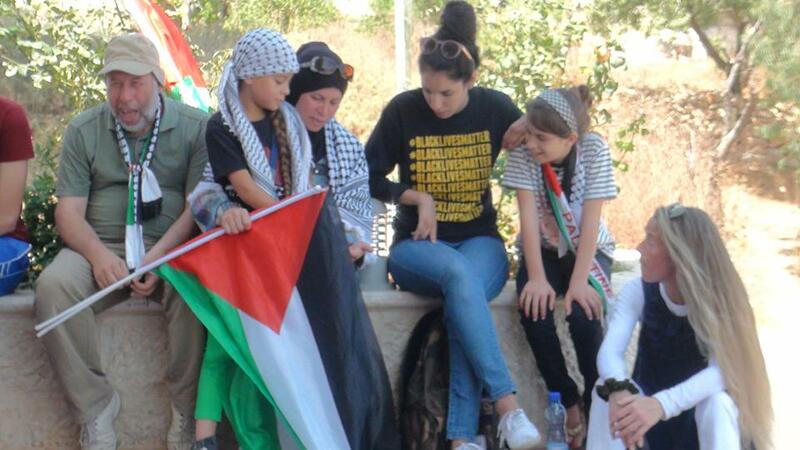 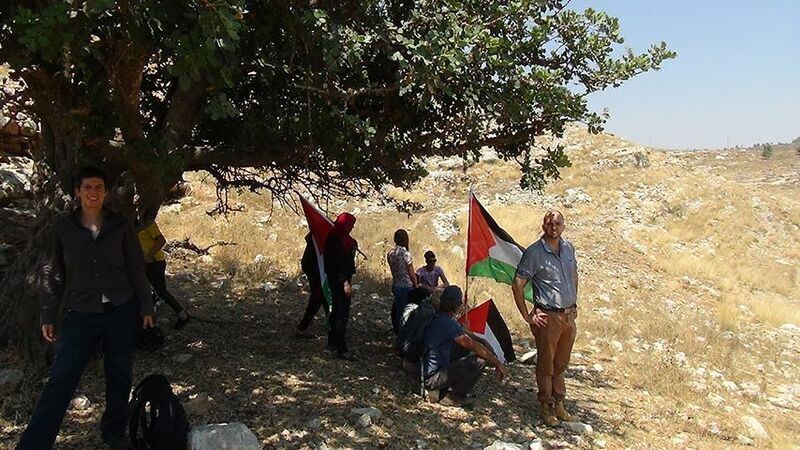 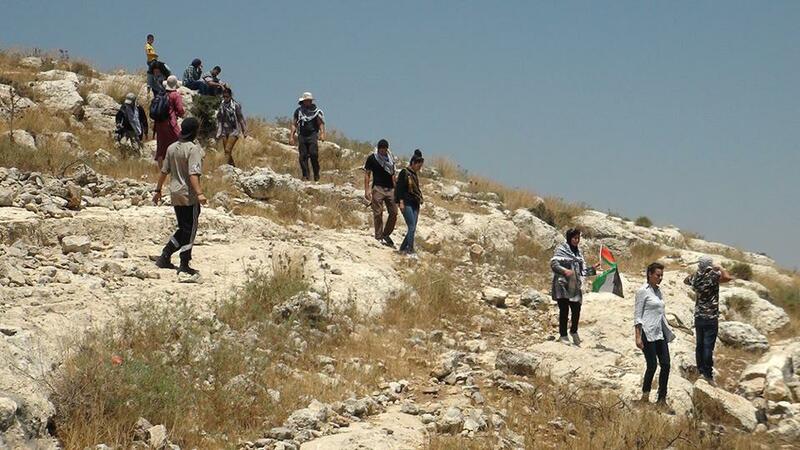 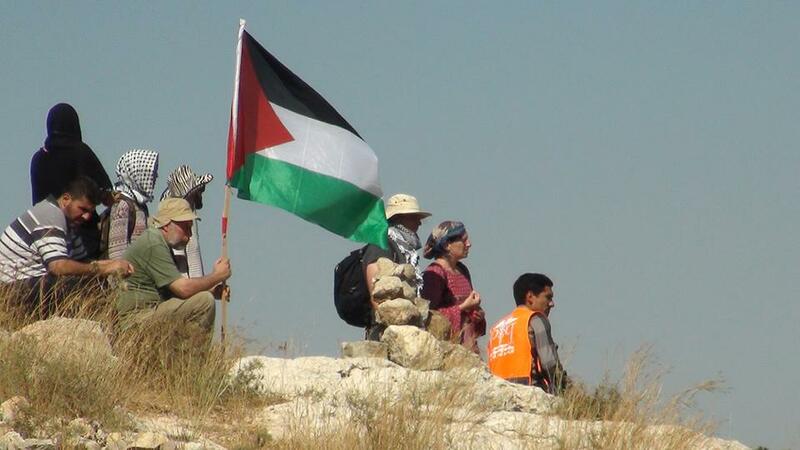 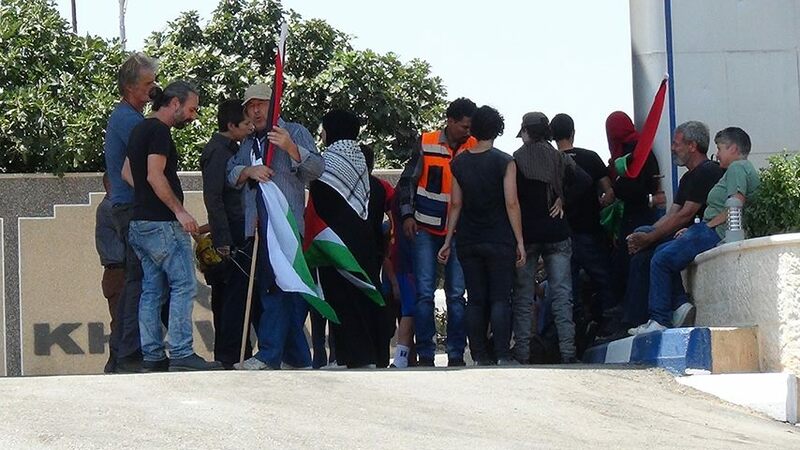 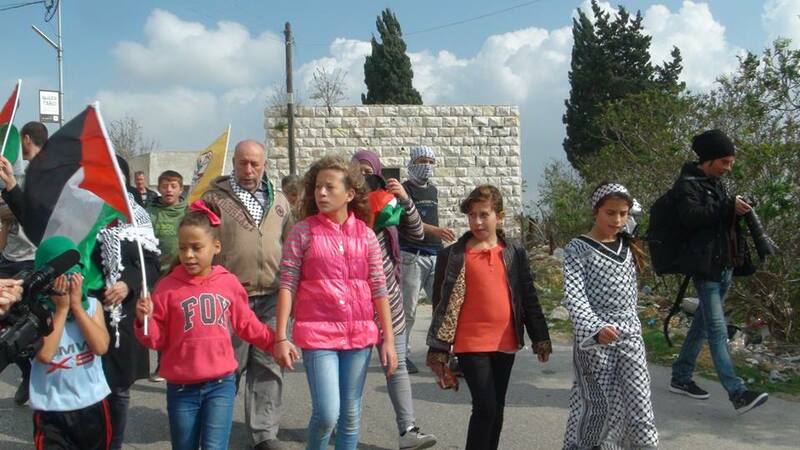 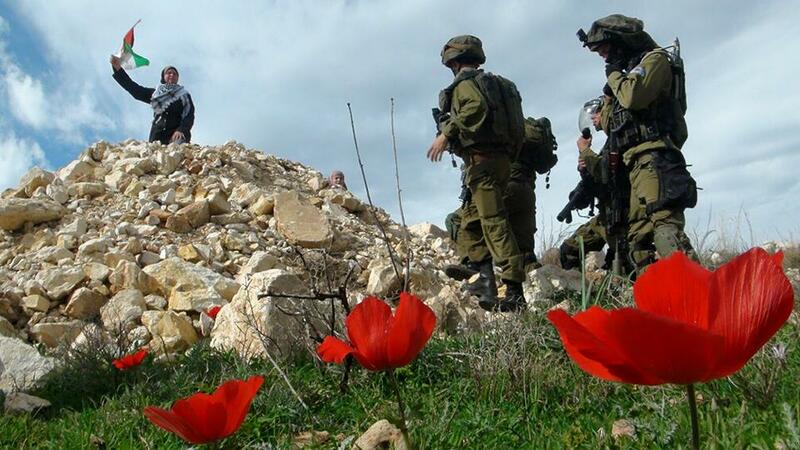 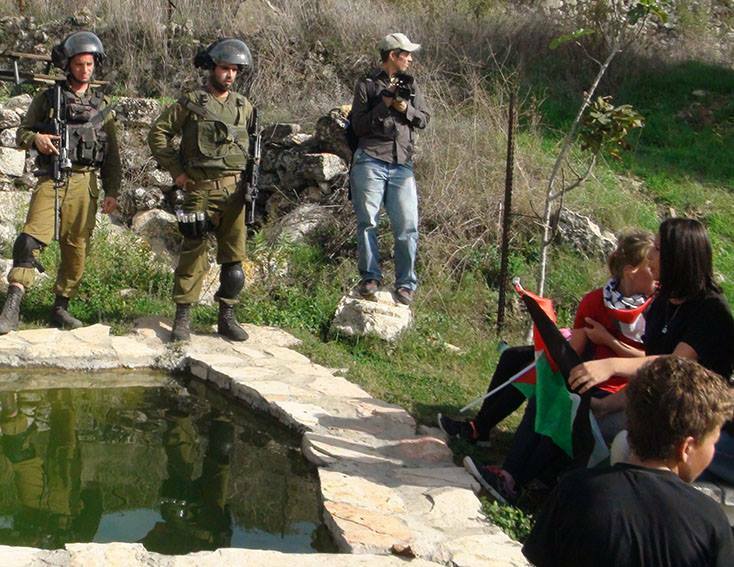 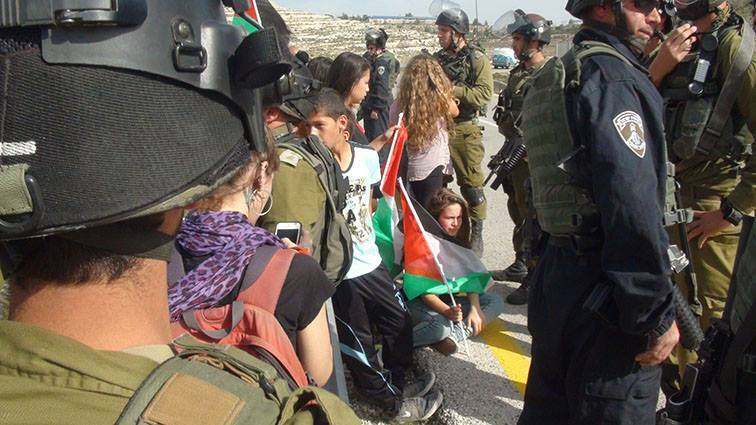 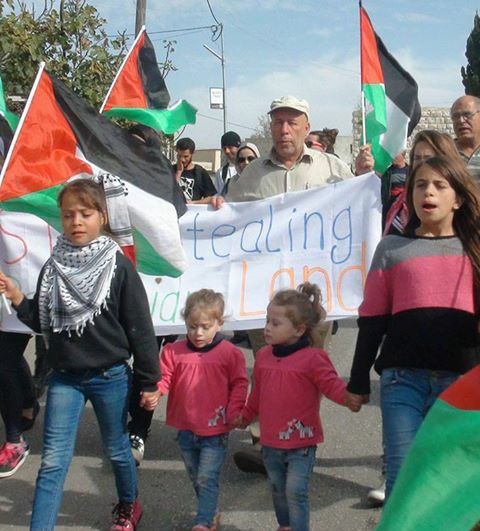 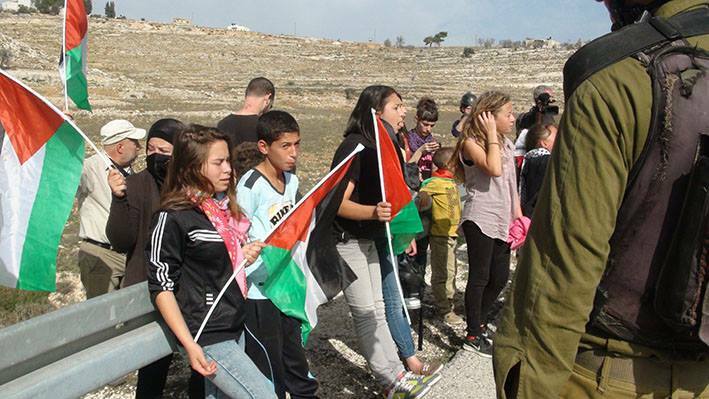 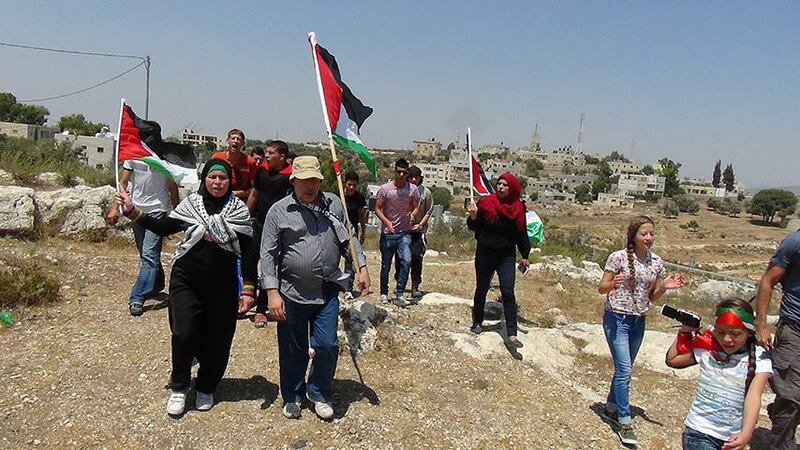 Palestinian women, children and men demonstrated in Nabi Saleh along with Israeli and international activists yesterday, as they do every Friday, against the confiscation of their land and against the theft of a village spring by the nearby illegal Israeli settlement. 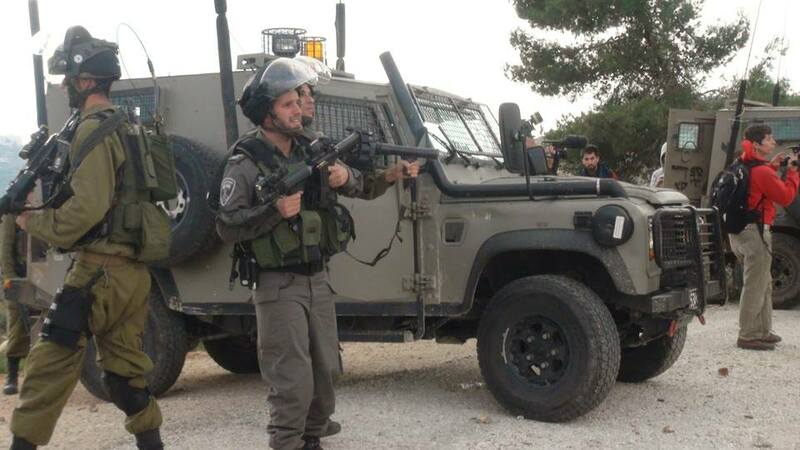 The Israeli military deployed at least eighteen soldiers and five military jeeps against the protesters, firing around thirty tear gas rounds. 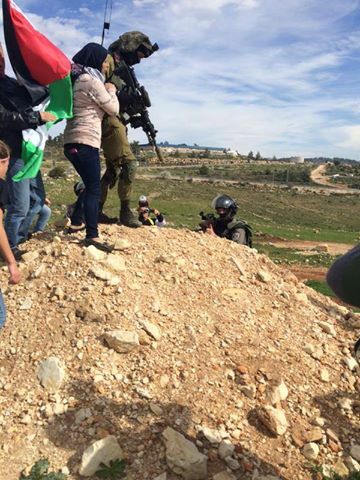 Not long into the protest, they brought out snipers who threatened the demonstrators with rifles designed to shoot .22 caliber live ammunition. 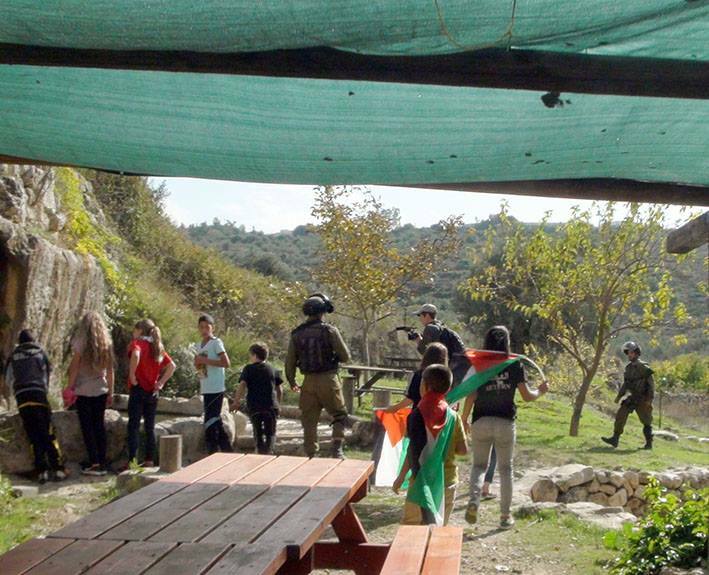 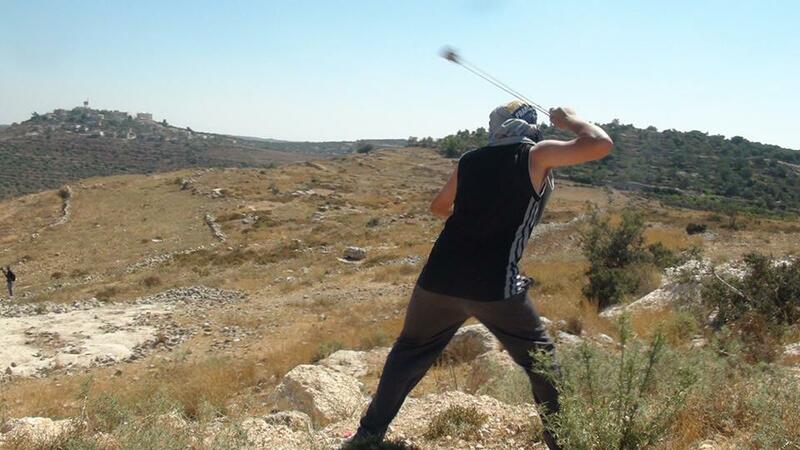 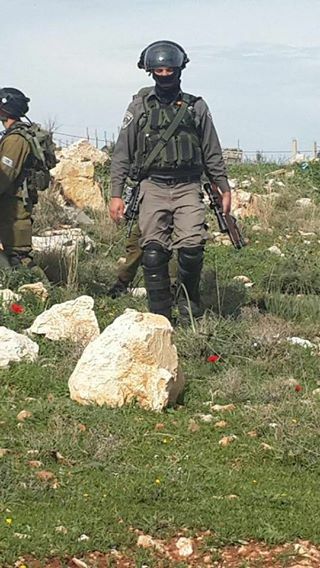 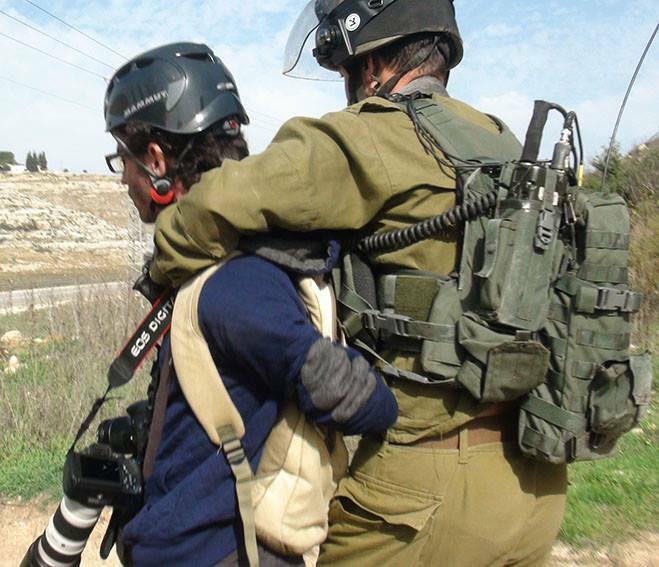 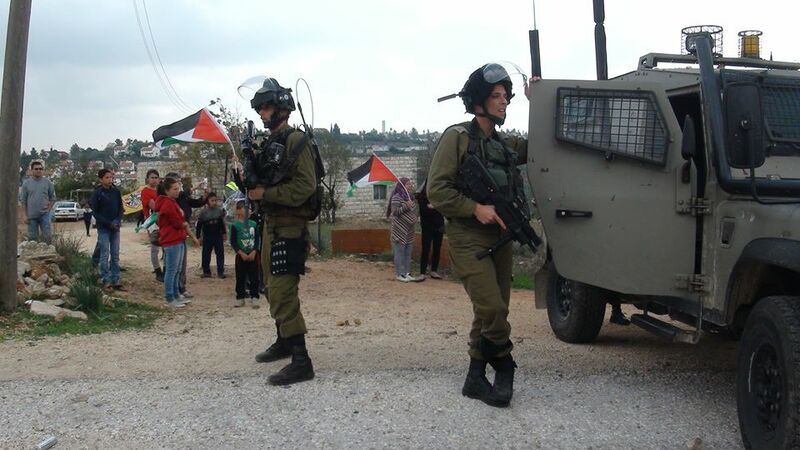 In recent weeks multiple village residents have been shot with live ammunition during Nabi Saleh’s protest; yesterday, organizers decided call an early end the action due to safety concerns. 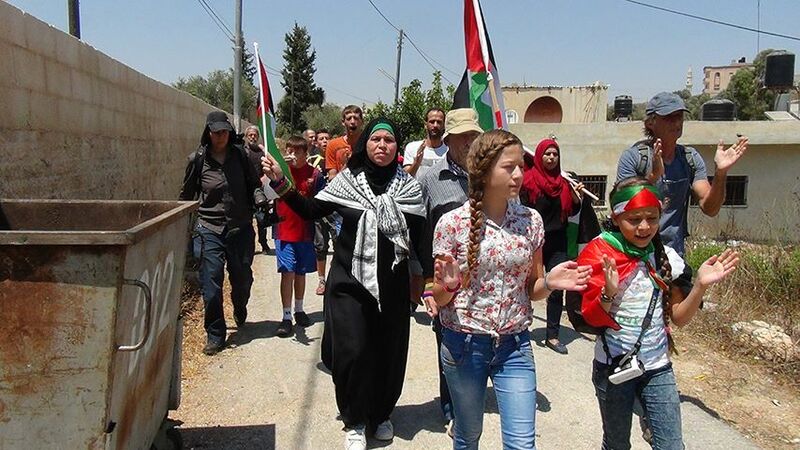 Friday’s demonstration in Nabi Saleh against Israel’s occupation called for freedom for all Palestinian political prisoners in Israel’s jails. 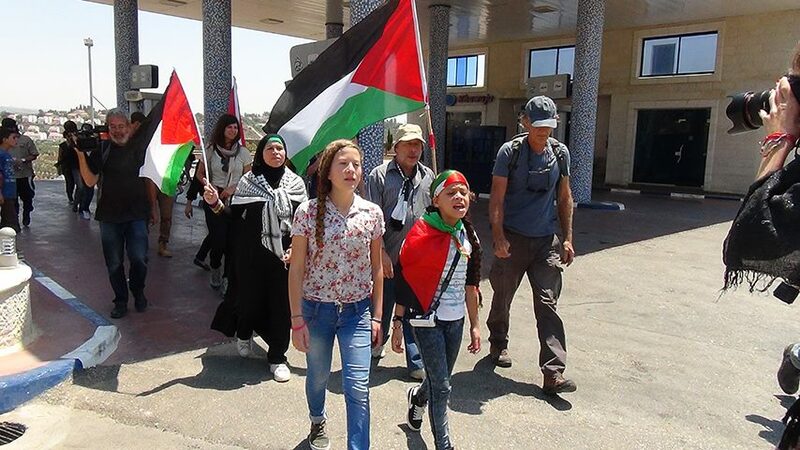 In particular, the demonstration sought to highlight Israel’s imprisonment of Palestinian children and the violation of their human rights. 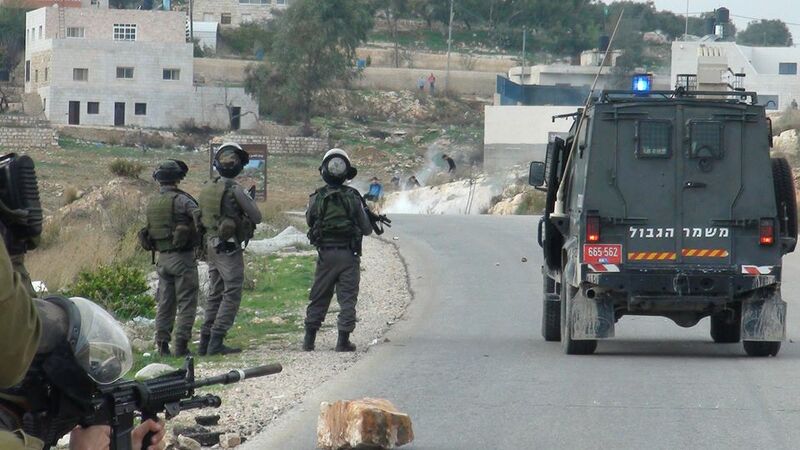 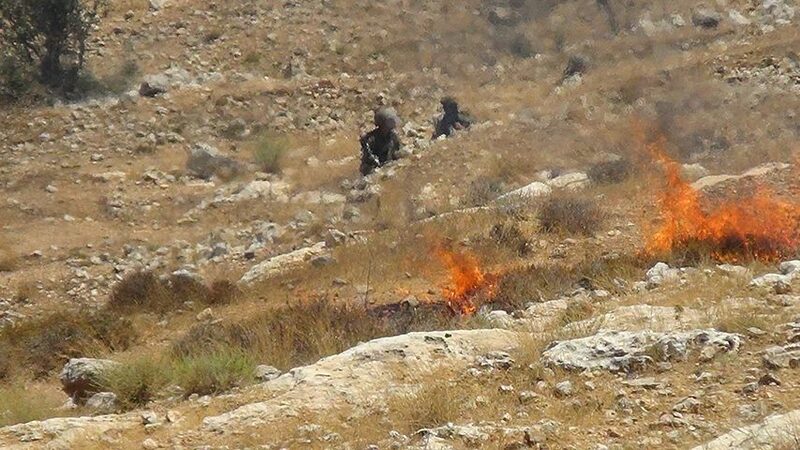 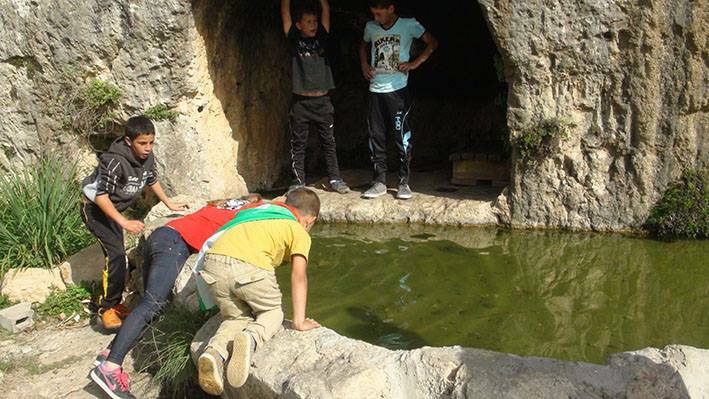 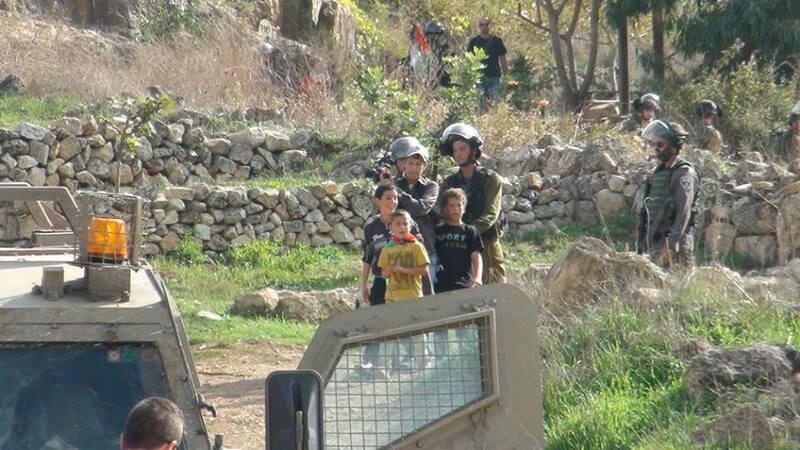 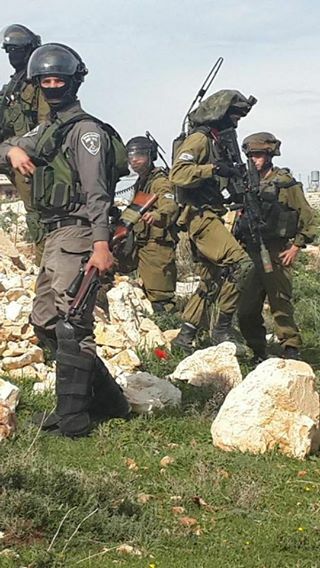 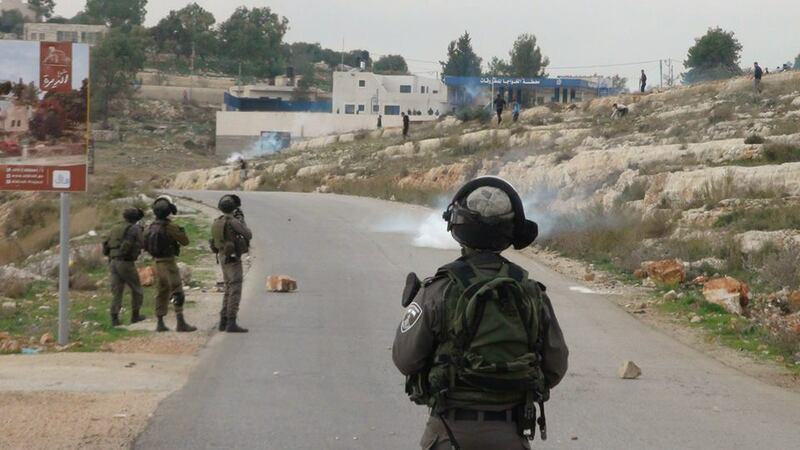 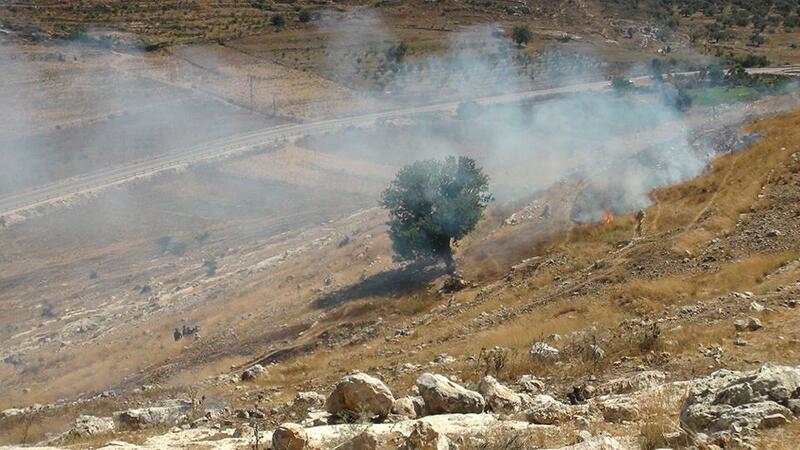 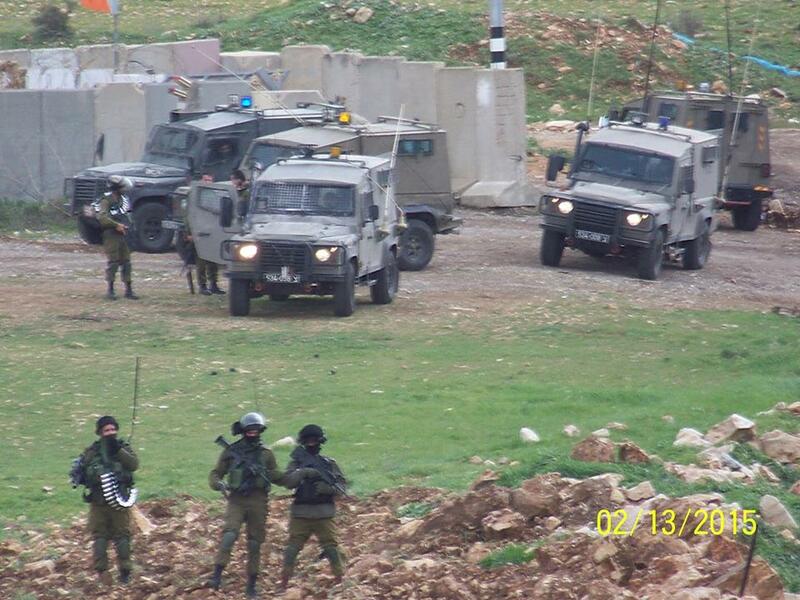 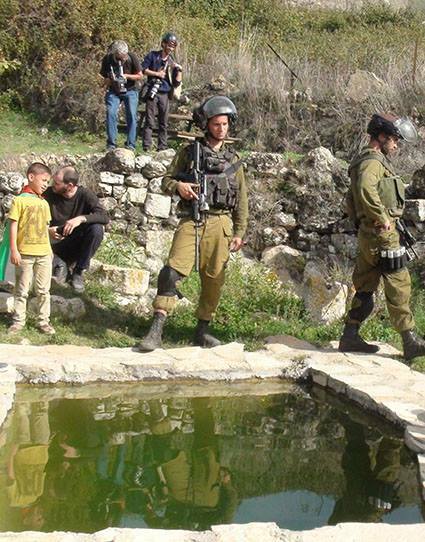 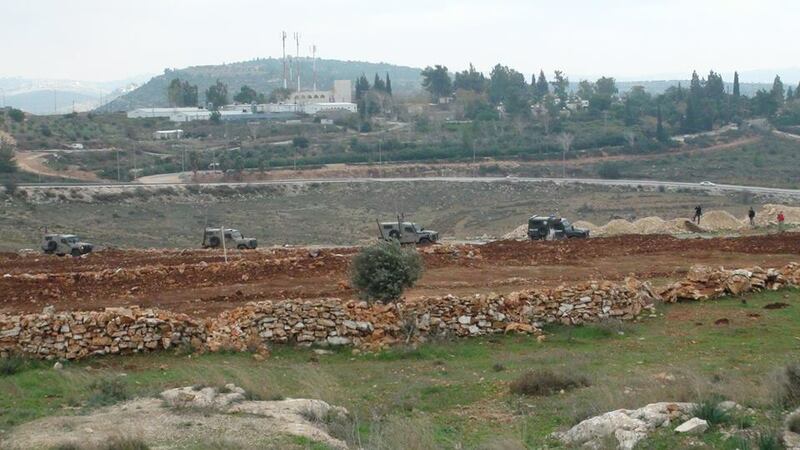 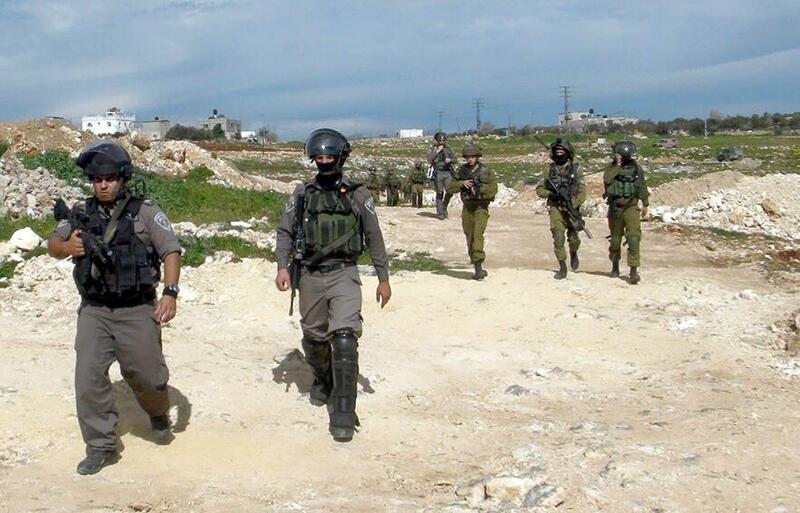 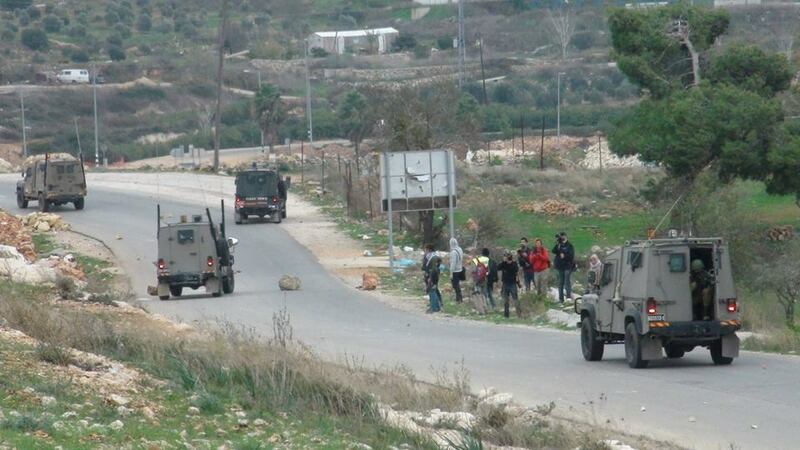 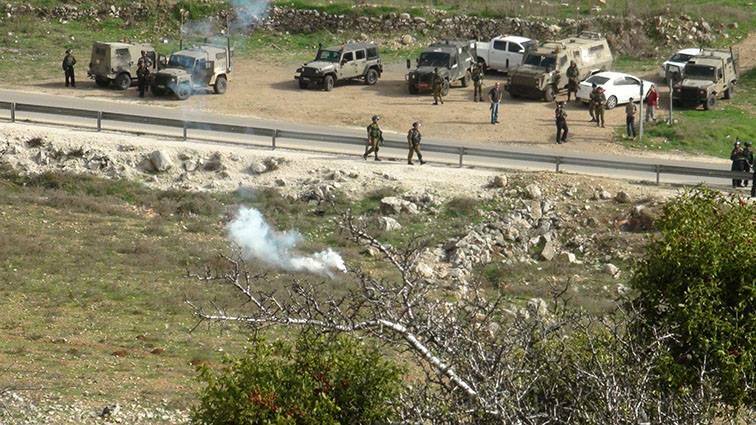 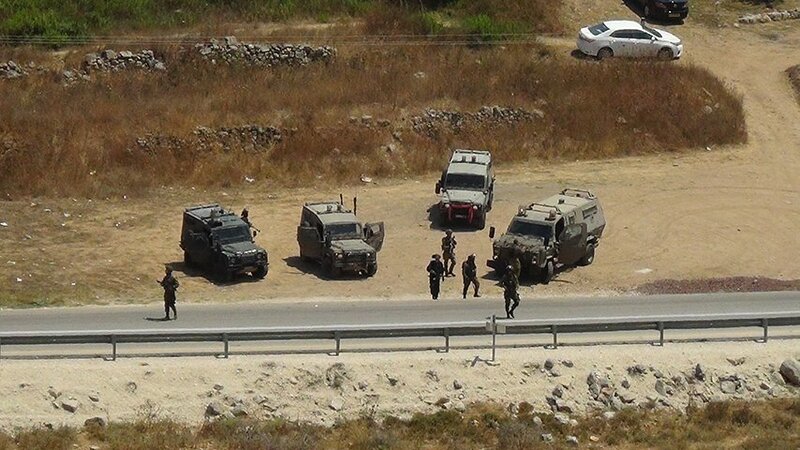 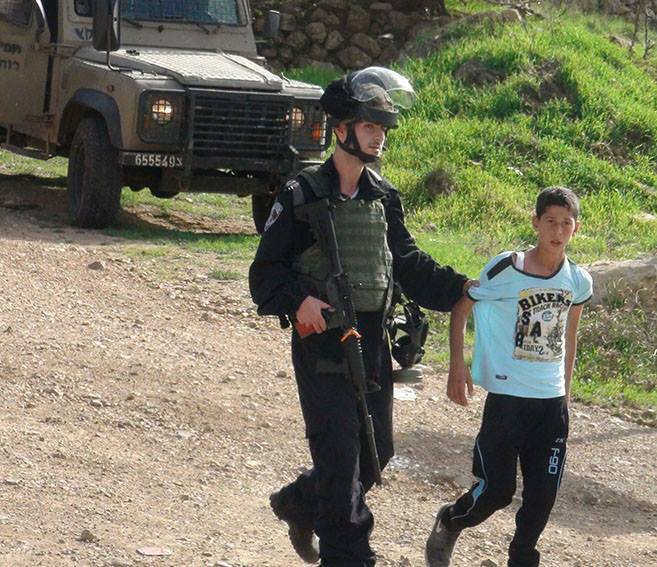 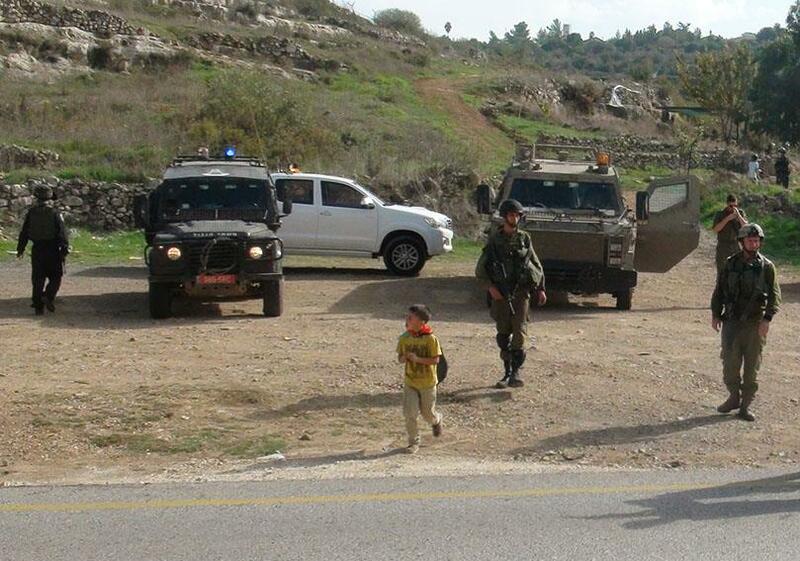 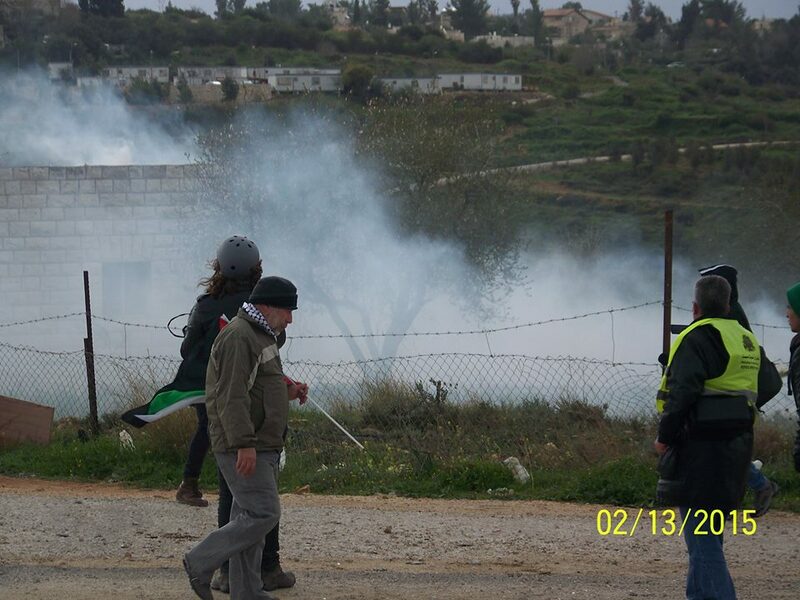 Israeli Occupation Forces sealed the village, closing the metal gates at the front of the village which are part of the Occupation infrastucture and then fired barrages of teargas at the non-violent demonstration, resulting in tens of people suffering from teargas inhalation and suffocation. 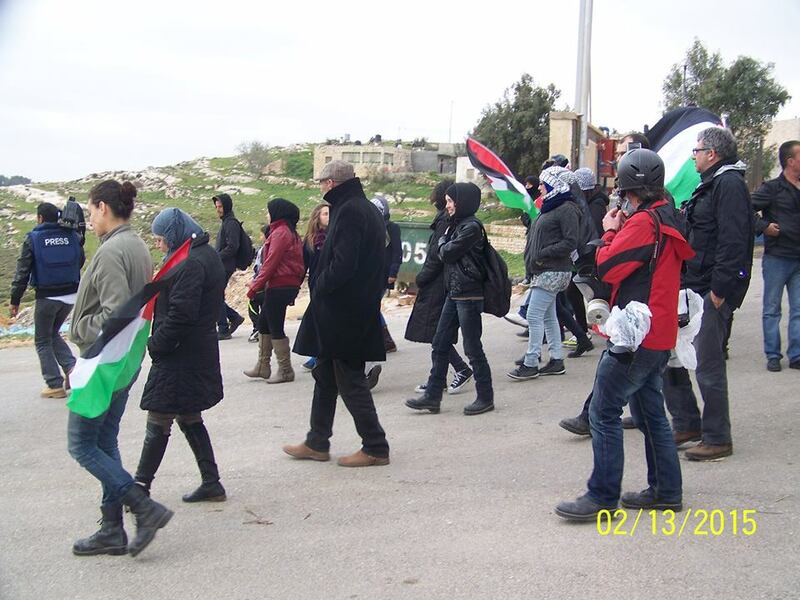 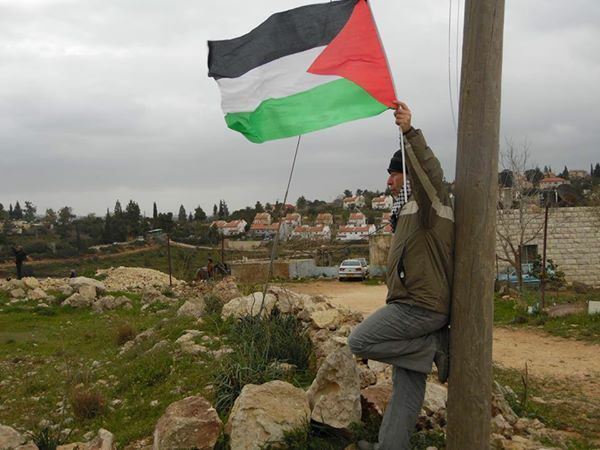 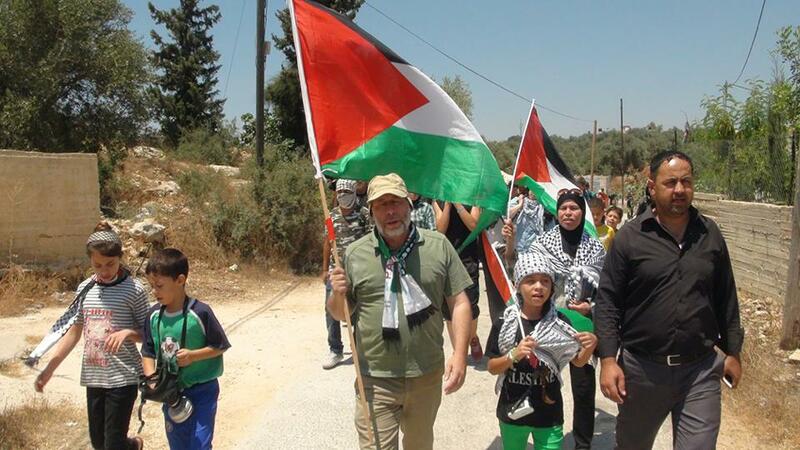 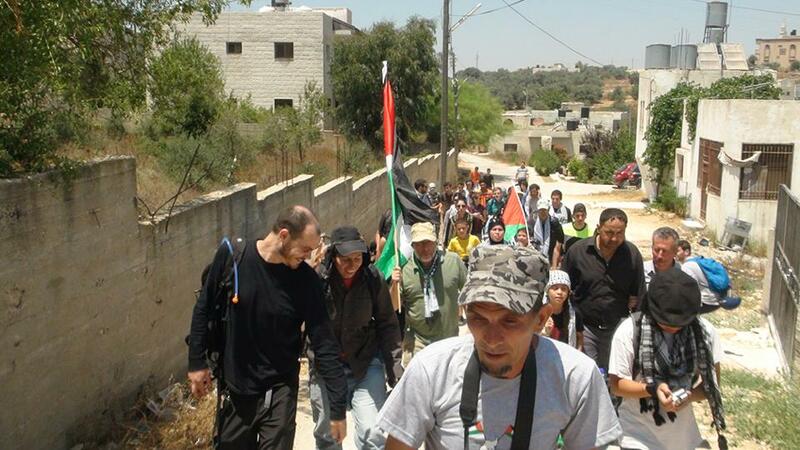 Joined by international and Israeli activists, the people of Nabi Saleh attempted to march to the front of the village, chanting slogans clalling for an end to Israel’s occuaption and for the protection of Palestinian and the implementation of international law. 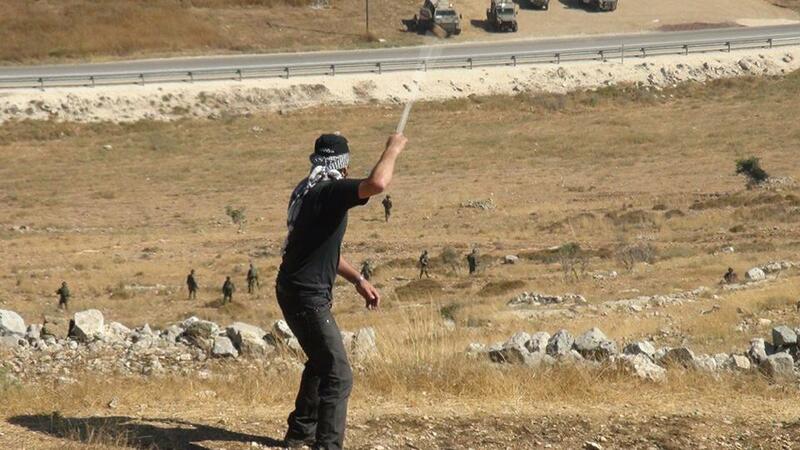 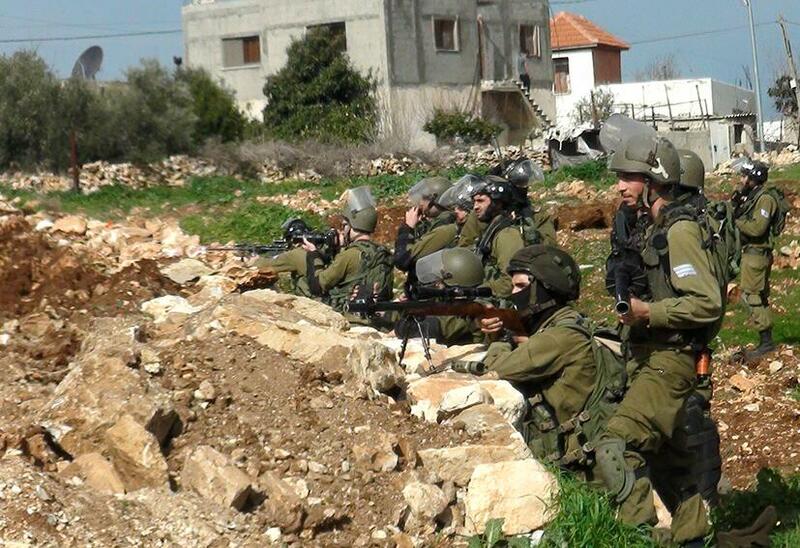 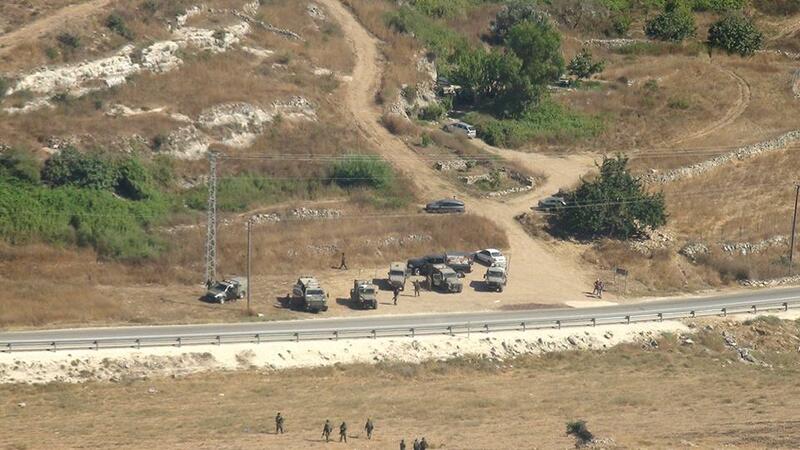 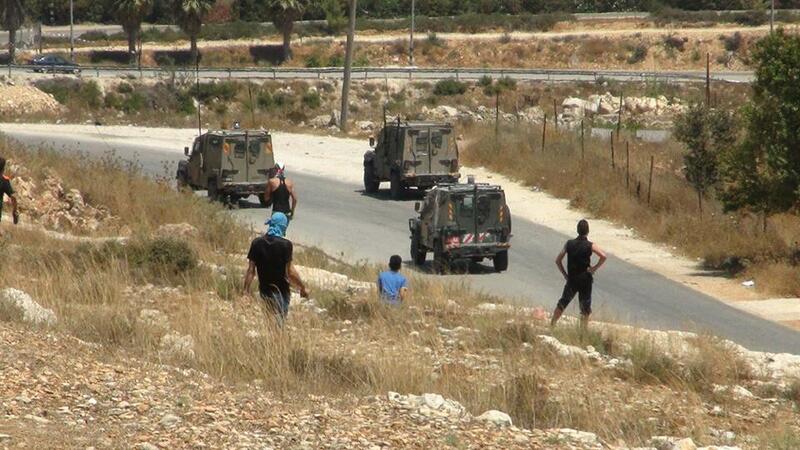 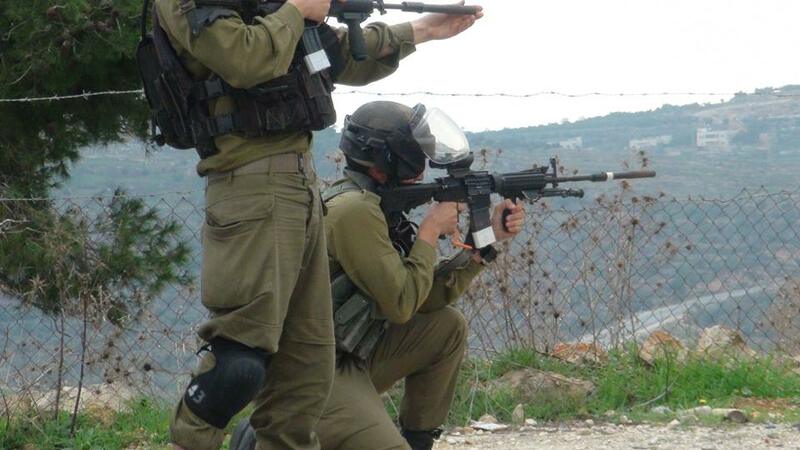 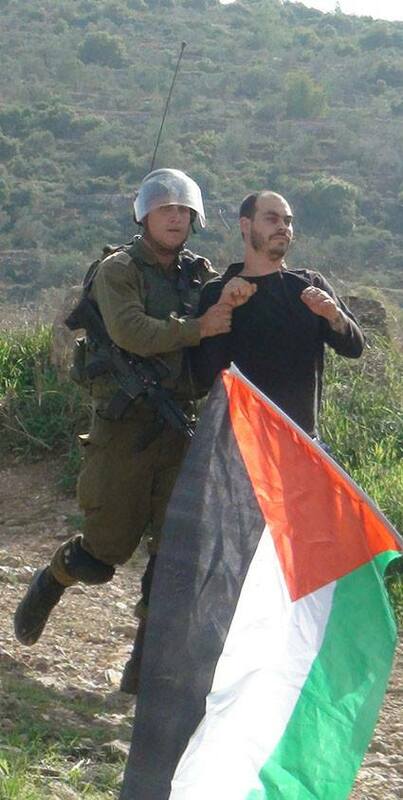 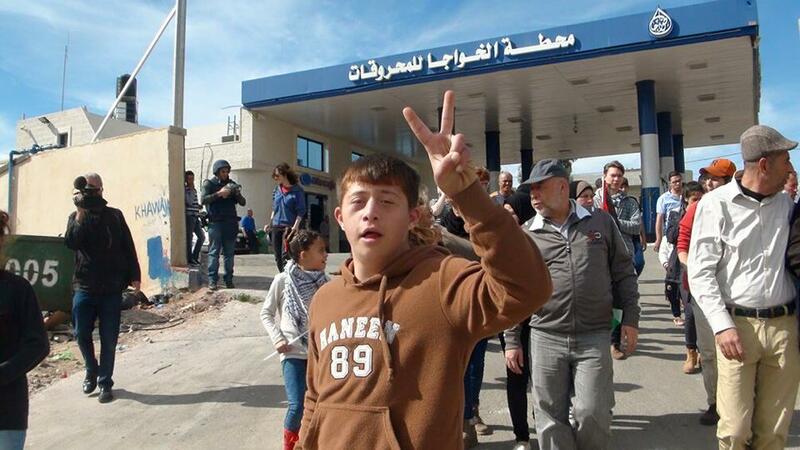 The Israeli military open fired on the peaceful demonstrators with steel coated rubber bullets and teargas. 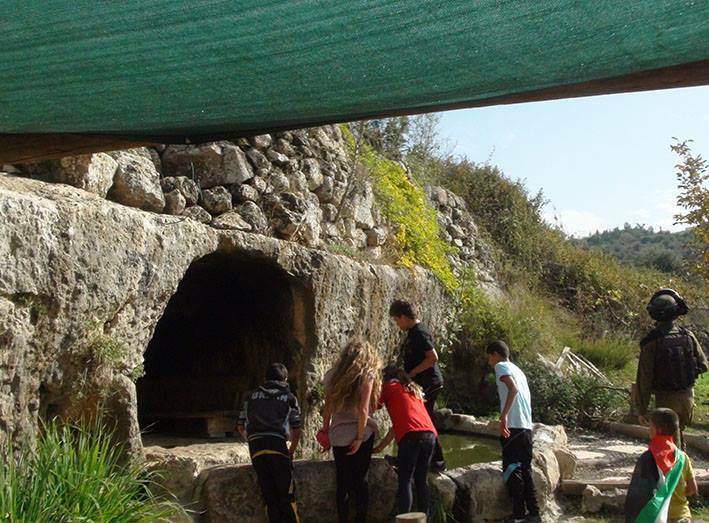 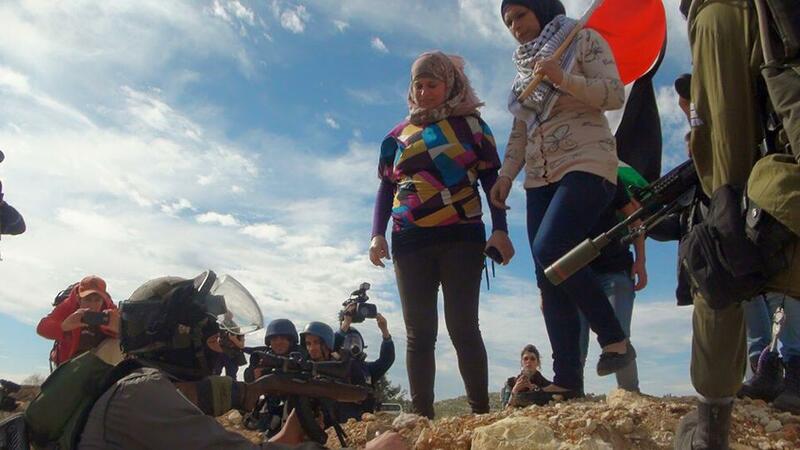 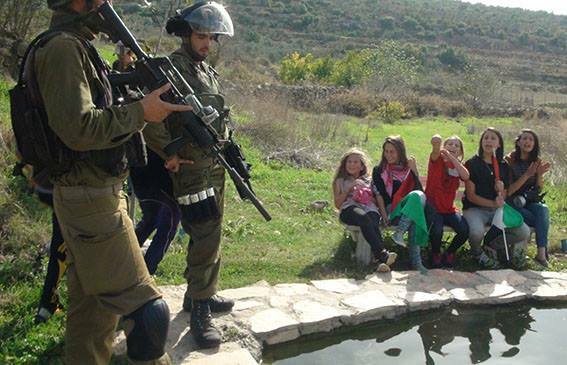 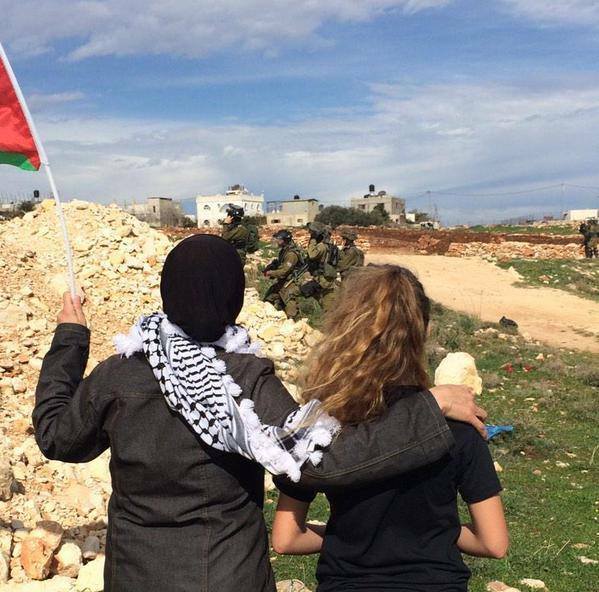 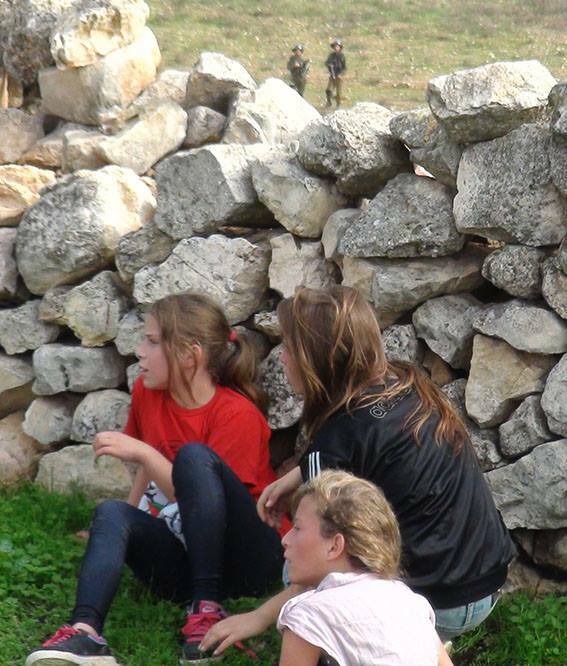 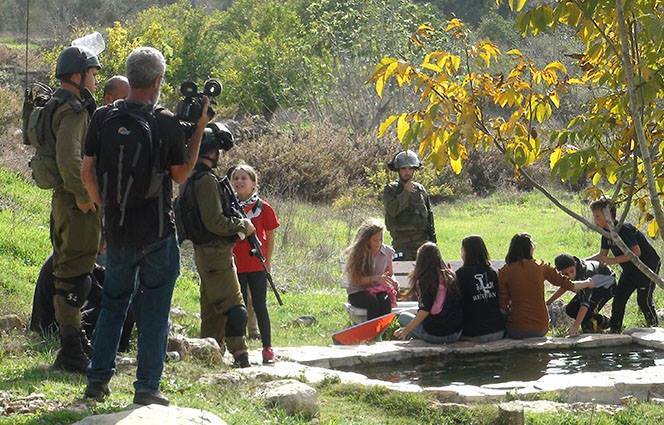 Women from the village in an attempt to prevent Israeli snipers firing on Palestinian residents attempted to block them by standing in front of them. 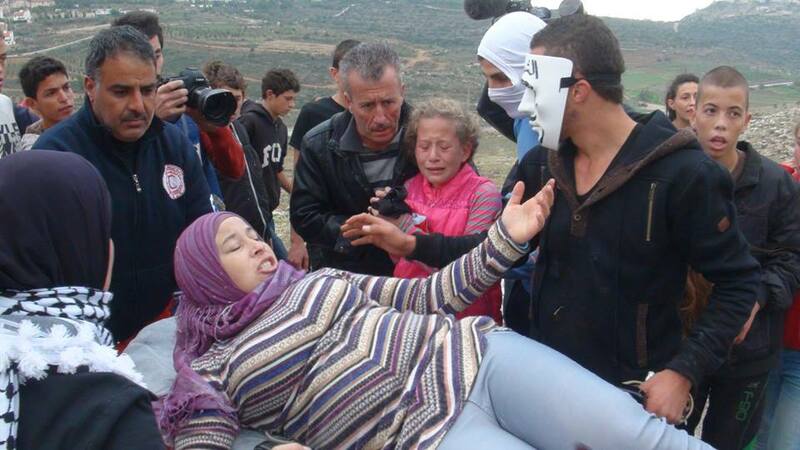 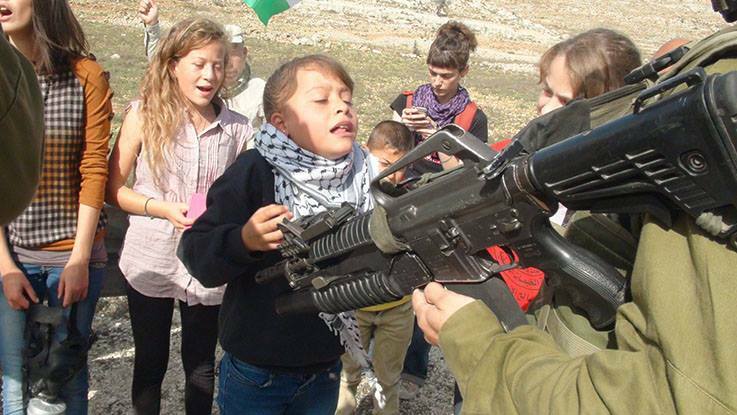 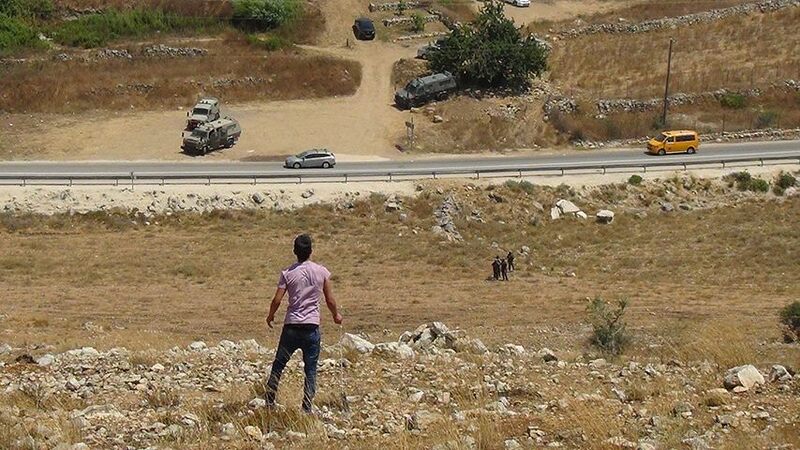 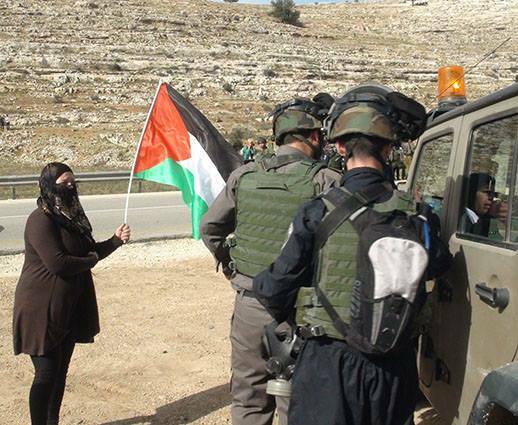 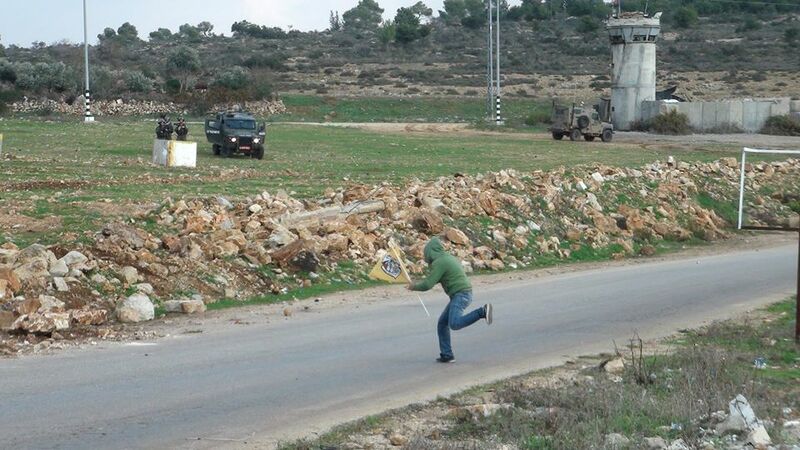 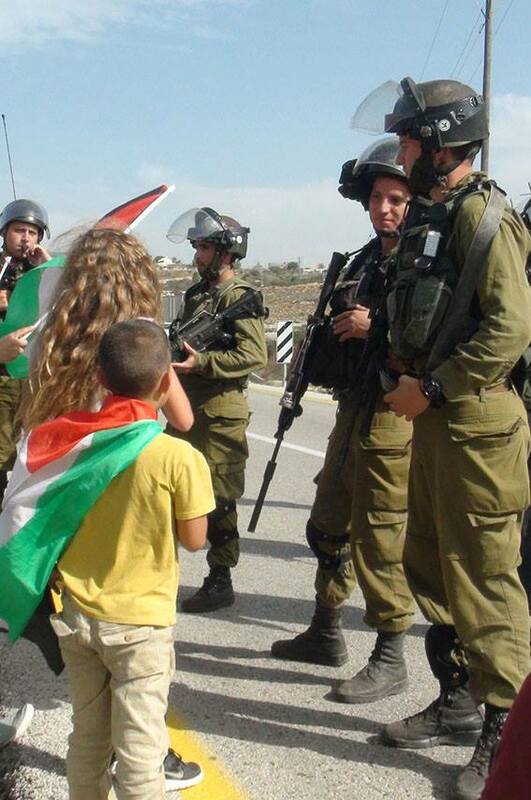 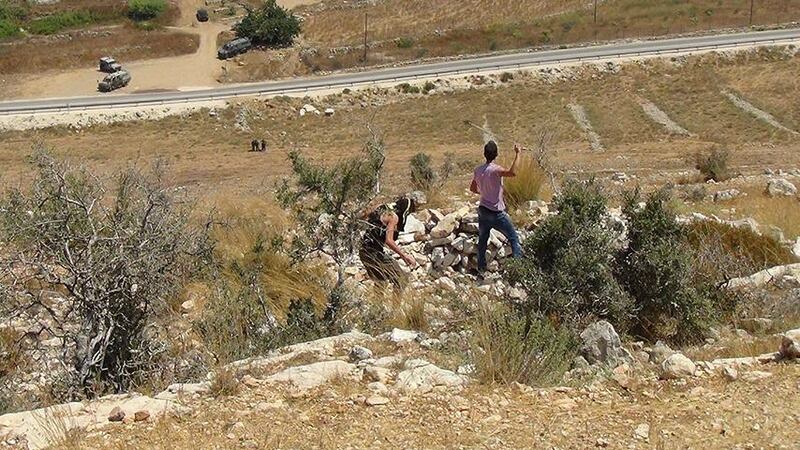 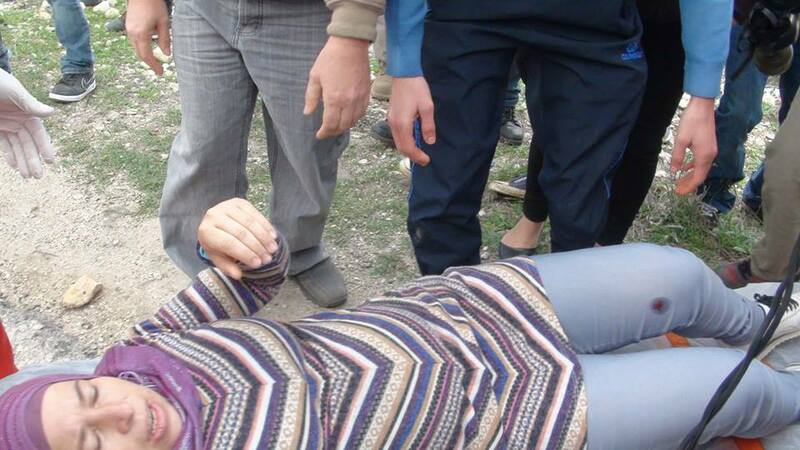 Palestinian woman attempting to stop Israeli snipers firing on protesters in Nabi Saleh.